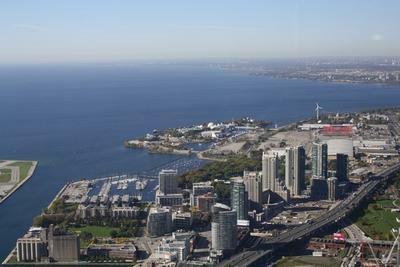 Located on shores of Lake Ontario, Toronto covers an area of approximately 630 square kilometres or 243 square miles. It’s the largest city in Canada. How many people live in Toronto? 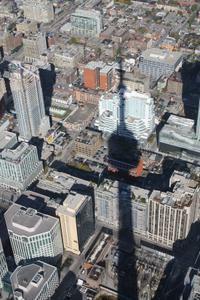 More than 2.4 million people call Toronto home. 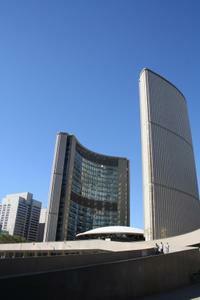 The three main languages spoken in Toronto are English, French and Chinese. The currency used here is the Canadian dollar (CAD). 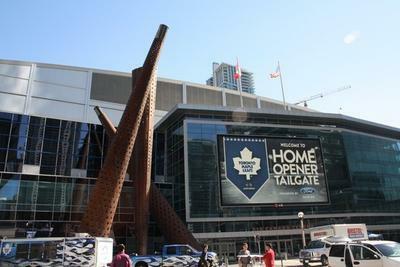 Tell me about one of the top attractions in Toronto. Visited by huge numbers each year, the CN Tower (301 Front Street West, Entertainment District) is definitely one of the top Toronto attractions. 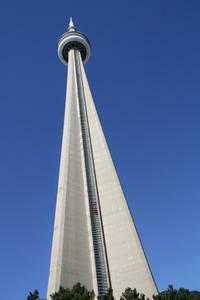 One of the tallest structures in the world, this tower stretches up for over 553 metres. During your visit, you’ll fly up to the top in a lift with a partially glass-panelled floor. Once you’ve arrived at the top, you’ll find breathtaking views of the city awaiting you at three different observation levels. These are the Look Out, the Sky Pod and the awesome Glass Floor. 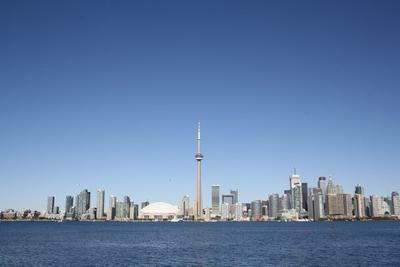 There are plenty of other things to do in Toronto, such as taking a trip to the Toronto Islands. This small island chain is a located just a short 15-minute ferry trip from downtown Toronto and consists of Centre Island, Ward’s Island and Hanlan’s Point. 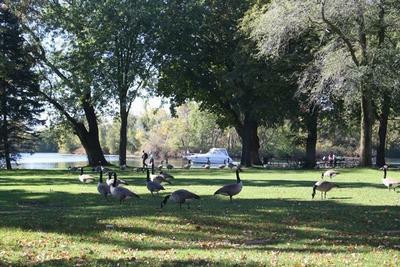 Welcoming huge crowds of locals and tourists each year, the Toronto Islands are home to numerous attractions. 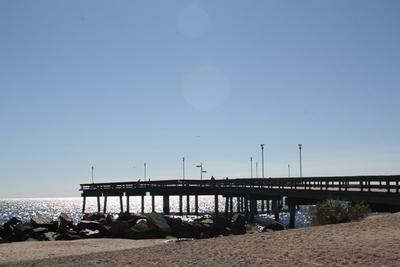 These include the Centreville Amusement Park, the Gibraltar Point Lighthouse and plenty more. On top of that, you can go swimming in the lake, laze around on one of the beautiful beaches or simply stroll through the large areas of parkland. 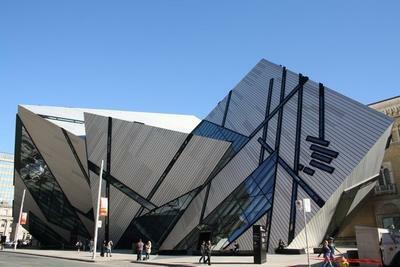 The Art Gallery of Ontario (317 Dundas Street West, Chinatown) or AGO is definitely worth a visit while you’re in town. 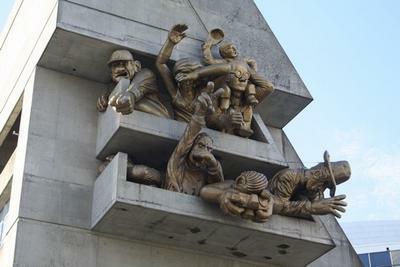 Home to a huge collection of almost 80,000 different art works, the museum boasts pieces by a host of famous Canadian and international artists. Some of the more recognisable artists include Van Gogh and Monet. If you’re looking to save a bit of cash during your stay in the city, try to visit the AGO on a Wednesday between 6pm and 8.30pm when the normal admission fee is waived. There’s absolutely no way you’ll miss the Royal Ontario Museum (100 Queen’s Park, Bloor-Yorkville) thanks to the Michael Lee-Chin Crystal. Housing part of the museum’s vast collection, this building has no right angles and makes for some very cool photographs. 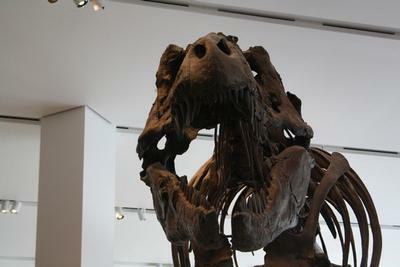 Affectionately known to locals simply as ‘The ROM’, this museum dates back to 1912 and houses a diverse array of displays including dinosaur skeletons, gems and more. 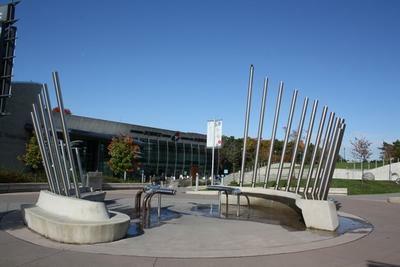 One of the coolest attractions in Toronto is the Ontario Science Centre (770 Dom Mills Road, Flemingdon Park). And the reason why it’s so cool? 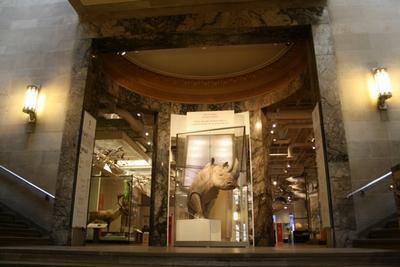 Well, it’s home to a brilliant selection of interactive exhibits which will keep visitors of all ages occupied for hours. Housed across five different underground levels, the building also has a ‘living roof’. Keep an eye on the windows as you head down the escalators as you’ll often see native birds and animals. Of course! 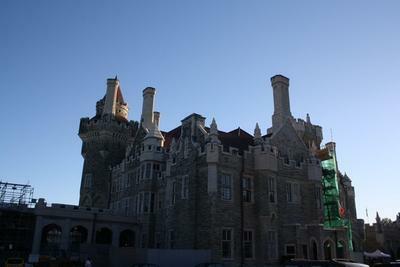 There are some great free attractions for you to check out in Toronto. 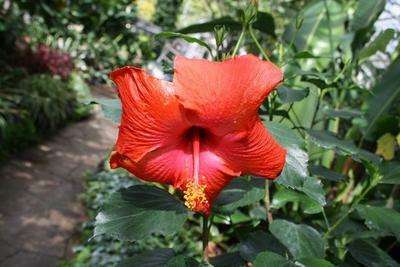 Head to the beautiful Allan Gardens and you’ll find the Allan Gardens Conservatory which is worth a look. A Victorian-style conservatory, it’s filled with colourful flowers, cacti, palm trees and more. 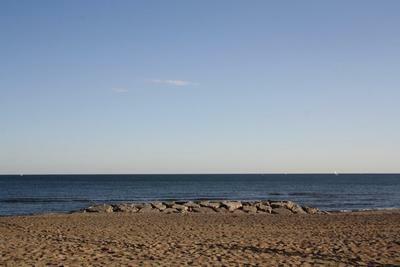 Toronto has a number of cool beaches and one of the most popular of these is Woodbine Beach located in an aptly-named neighbourhood called The Beach. Woodbine has been awarded a Blue Flag and is a great spot for swimming, sunbathing or simply strolling along the strand. The Gothic-style St. James’ Cathedral is a good spot to visit if you’re looking for a bit of a respite from the hectic pace of the city. Opened back in 1853, it stands on the site of Toronto’s first church and today houses a impressive collection of stained glass windows and an elaborate organ. 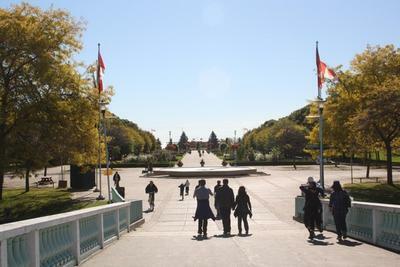 Other great free attractions are Toronto’s many beautiful parks including Queen’s Park and High Park. 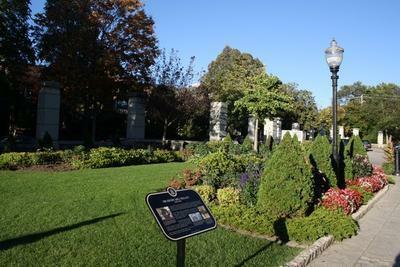 Dedicated to Queen Victoria, Queen’s Park is located close to the ROM and has been around since 1860. 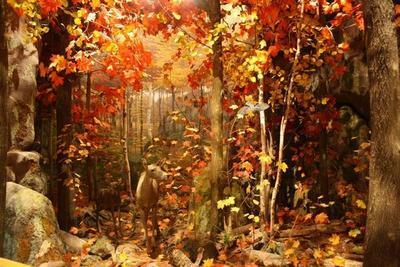 High Park is the largest park in Toronto and covers an impressive 400 acres. Here you’ll find numerous attractions such as the Chinese Gardens, the free mini-zoo, Grenadier Pond and a great selection of trails. You’ll find plenty of places to splash some cash in Toronto including the enormous Toronto Eaton Centre (220 Yonge Street, Downtown). This huge mall covers two full city blocks and is home to 250+stores. Some of the shops you’ll find here include Abercrombie & Fitch, Best Buy, Lacoste, Nike, Fossil, Zara and Sephora. 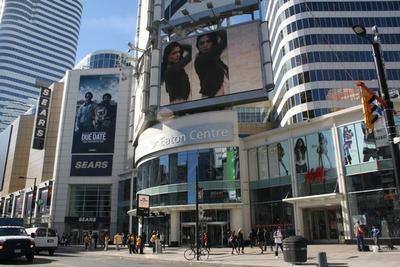 The Eaton Centre isn’t the only shopping spot on Yonge Street, which is one of the longest streets in the world. The stretch of this street in Downtown Toronto is particularly shopaholic-friendly with a plethora of stores to tempt you inside. 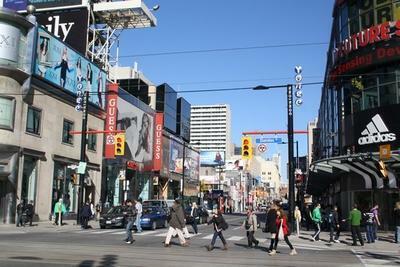 Two other great shopping streets in the city are Bloor Street West and Queen Street West. The section of Bloor Street West between the ROM and Yonge Street is home to a whole host of big name brand stores from HMV to GAP. 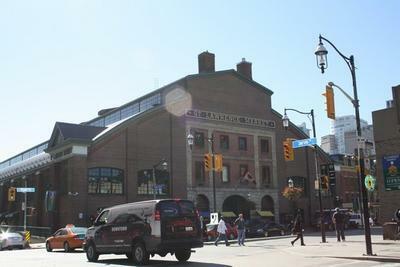 Zara, Footlocker, H&M, Lush, Adidas, Guess and Mexx are just some of the major retailers with shops along the stretch of Queen Street West in the Entertainment District. Don’t forget to check out the stores in PATH, Toronto’s underground city. Stretching for 28km in total, this series of subterranean tunnels links some of the city’s top attractions and is a great way of getting around in bad weather. 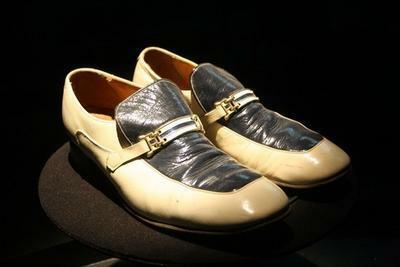 It’s also home to a wide variety of stores including top brands like Banana Republic alongside more exclusive boutiques. If you’re looking for a great night out in Toronto you’ll be spoiled for choice with a wide variety of bars, pubs and clubs spread throughout the city’s neighbourhoods. 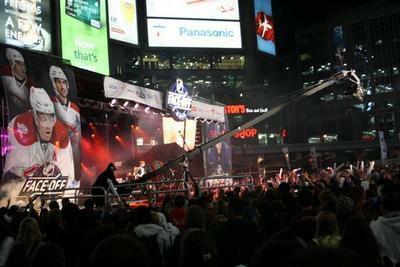 There’s usually a pretty good buzz around Dundas Square most nights. It’s a good idea to carry some form of ID with you when going out in Toronto. The legal drinking age here is 19. The Drake Hotel (1150 Queen Street West, West Queen West) is one of the coolest nightspots in Toronto. Here you’ll find a first-rate selection of unique bar areas, all of them offering something different. There’s the Lounge where you can sip colourful cocktails, the Underground which hosts live music acts, improv comedy, poetry slams and more, and the Sky Yard, an all-weather rooftop patio. If you’re a beer fan you’ll love Sin & Redemption (136 McCaul Street, Chinatown) which boasts thirty-four draught beers. Most of these are either Belgian or German. Try and grab one of the tables at the big, open windows and then soak up the lively conversations going on around you as you enjoy your drink. Firkin on King (461 King Street West, King West) is a relatively new bar in this area. It’s a pretty big spot, taking up two large floors, and it attracts a mixed crowd. Drinks specials are different each day and are available from 4pm-7pm. A stalwart of the Toronto music scene, the Horseshoe Tavern (370 Queen Street West, Entertainment District) has been in operation for more than 60 years and has welcomed a wide spectrum of music greats including the Rolling Stones. Live bands still play here nightly from Monday to Thursday. At the Fox and Fiddle (106 John Street, Entertainment District) you’ll find 20 different beers on tap, as well as regular drinks specials. These specials cover everything from jugs of beer to ‘bar rails’. A friendly bar, it hosts plenty of entertainment from karaoke to comedy. There’s a pretty vibrant LGBTQ scene in Toronto, mostly centred on the Church-Wellesley Village neighbourhood where you'll find plenty of gay-friendly bars and clubs to check out. 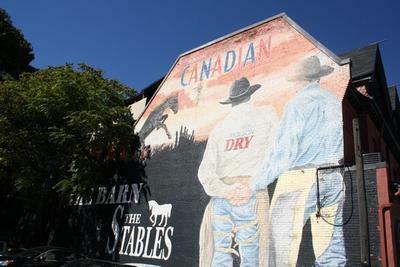 One such place is Gladaman’s Den (502a Yonge Street), a pub with an outdoor patio and drag nights. 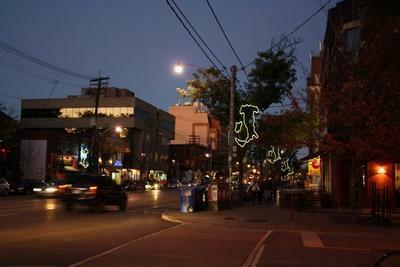 Another popular choice is The Beaver (1192 Queen Street West), which boasts a wide variety of cocktails and plenty of alternative live music. If you’re looking for a lesbian bar, check out Slacks (562 Church Street). Is it expensive to eat out in Toronto? It really doesn’t have to be. You’ll find plenty of places throughout the city offering cheaper options or affordable specials so you’ll be able to stay full without spending too much. Toronto is made up of lots of different neighbourhoods and in each of these neighbourhoods you’ll find a unique selection of eateries. A couple of the better areas to try if you’re looking for somewhere to eat are Chinatown and Kensington Market. Sure! If you’re looking for a cool café with a friendly atmosphere and tasty, affordable food, check out Le Petit Déjeuner (191 King Street East, St. Lawrence Market/Old Town). This spot is a great place for breakfast, lunch or dinner and it also offers a great weekend brunch. On the menu you’ll find everything from waffles to stew. Breakfast is served up daily until 3pm so it’s a good choice if you’ve had a long night out. Not just a popular live music venue, Rivoli (334 Queen Street West, Entertainment District) is also a top restaurant. Everything on the menu is pretty reasonably priced with dishes running the gamut from pad thai to a fancy mac and cheese. If you can, try to get a seat out on the atmospheric patio which is generally full of chattering locals. One of the best places to eat on a budget in Toronto is Sneaky Dee’s (431 College Street, Kensington Market). On the go for more than 20 years, this bar and restaurant serves up large portions of cheap, good food in a laid-back atmosphere making it a popular spot. The mostly Mexican-themed menu sports nachos, fajitas, burritos and plenty more, while the all-day breakfasts are also pretty popular. You might think that trendy Yorkville is just filled with upscale restaurants catering to Toronto’s rich and famous; however, this neighbourhood also boasts a couple of great places for those on a smaller budget. Take, for example, Crêpes à GoGo (18 Yorkville Avenue, Yorkville). This crêperie has quite a European-feel about it and serves up a large selection of sweet and savoury crêpes at very affordable prices. If you’re a meat eater you shouldn’t leave Toronto without sampling at least one peameal bacon sandwich. A Toronto favourite, this sandwich is made from a soft white bap filled with cured pork loin which has been rolled in cornmeal and is generally served with lashings of mustard. 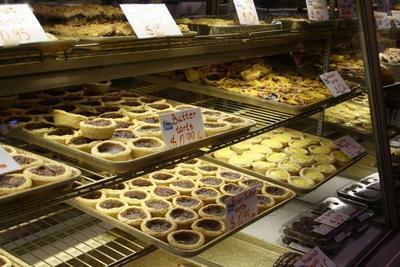 One of the best places to try these delicious sandwiches is Carousel Bakery in the St. Lawrence Market. 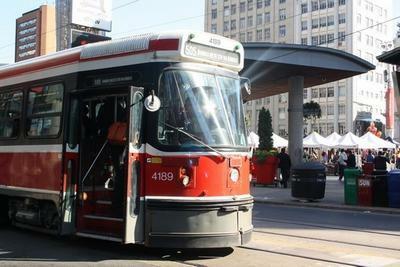 What kinds of public transport will I find in Toronto? Lots! Toronto has a really impressive public transport system which includes subways, streetcars and buses. It’s an easy to use system and tickets are pretty reasonably priced. The subways run on three lines, the streetcars cover 11 different routes and the bus services criss-cross the city. If you think you’re going to use a lot of public transport in any given day, it’s worth picking up a TTC (Toronto Transit Commission) Day Pass. Covering all the different subway, bus and streetcar services, these passes cost $10 and last for the whole day. You probably will need to use public transport at some stage, especially if you want to go a bit further afield and check out attractions like the Ontario Science Centre and neighbourhoods like The Beach. The number of bike paths in Toronto is increasing all the time so if you’re a fan of cycling, it’s another option for getting around. If you were looking at this on a popular building, what city would you be in?